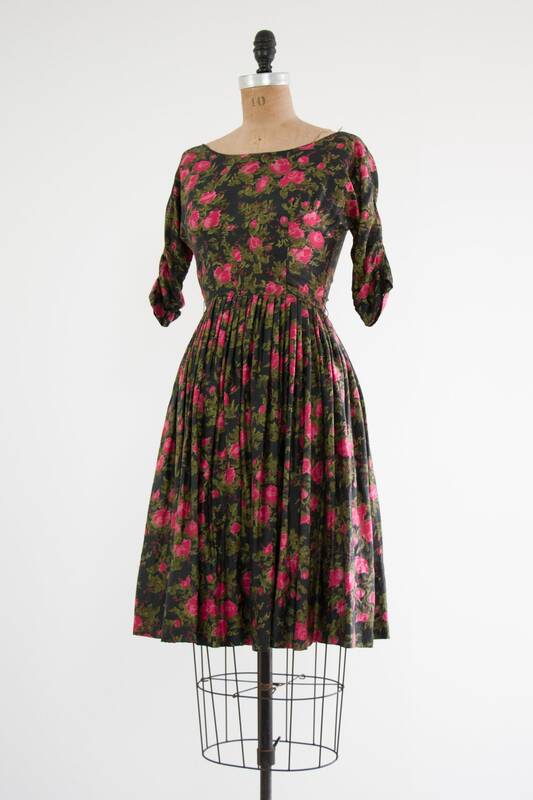 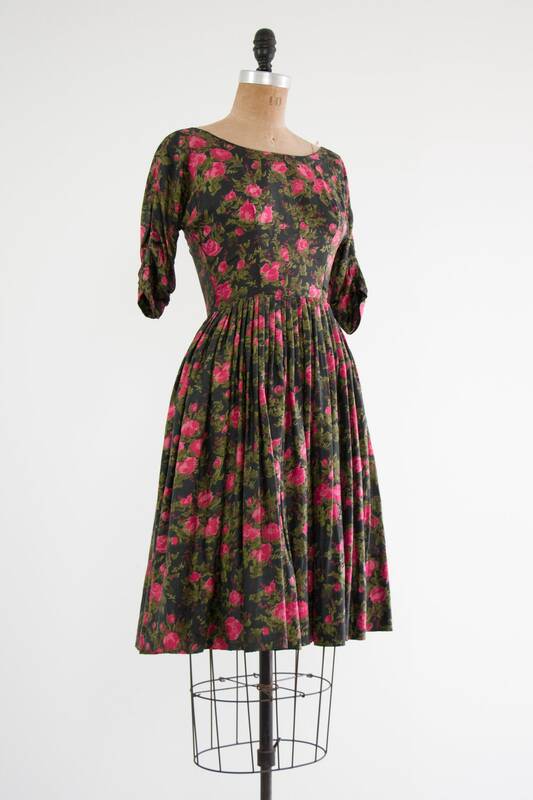 Vintage 1950s party dress. 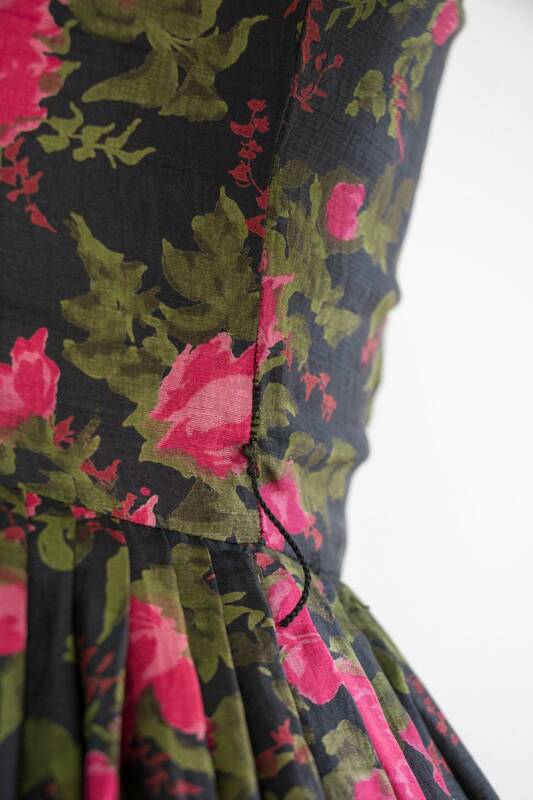 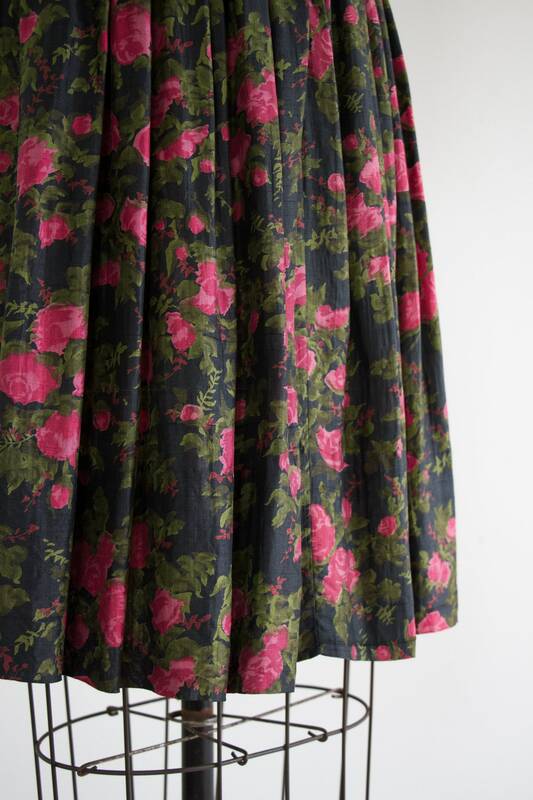 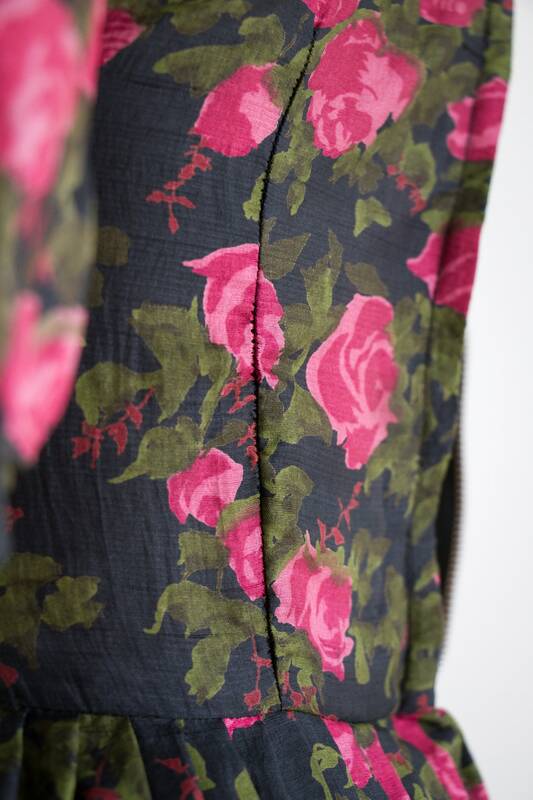 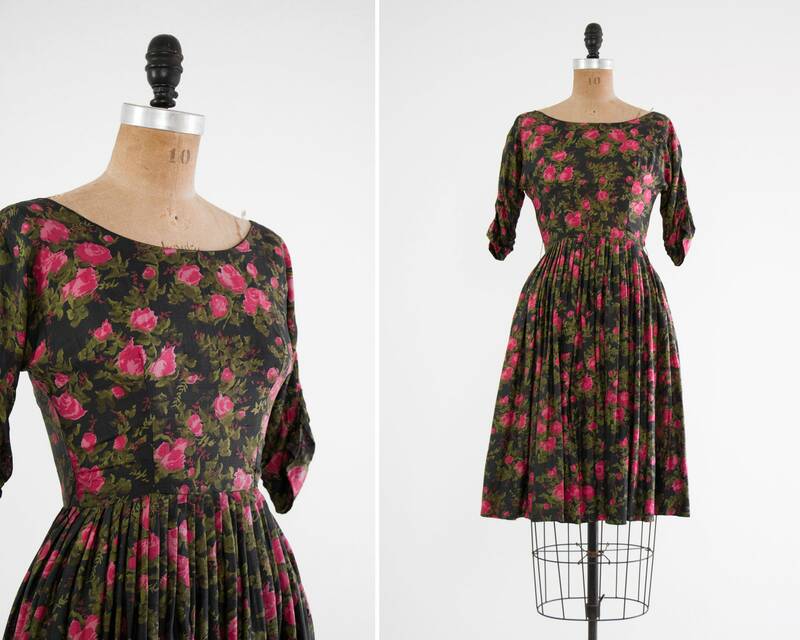 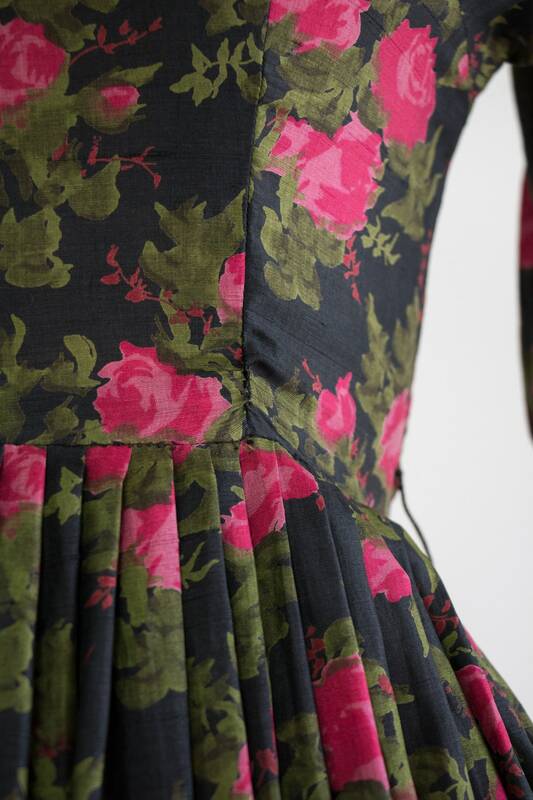 Made from lustrous black silk with a pink floral print. 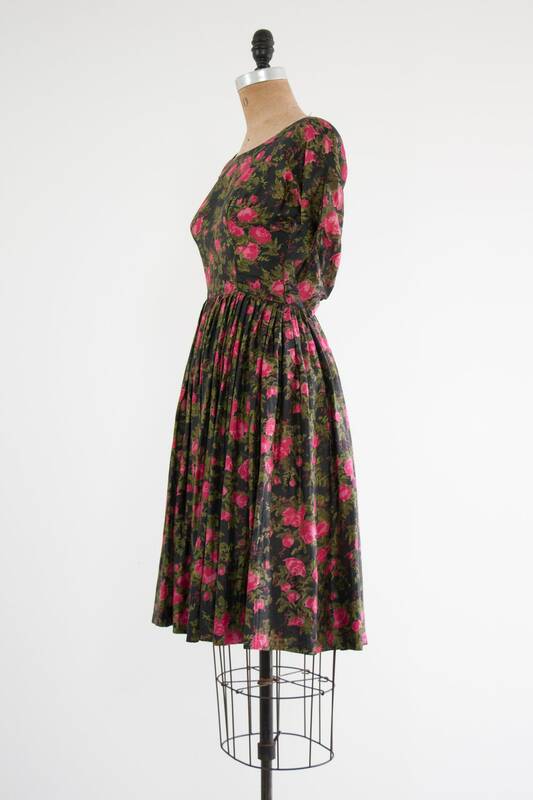 Has a fitted bodice with scoop neckline, gathered dolman sleeves, and full pleated skirt. 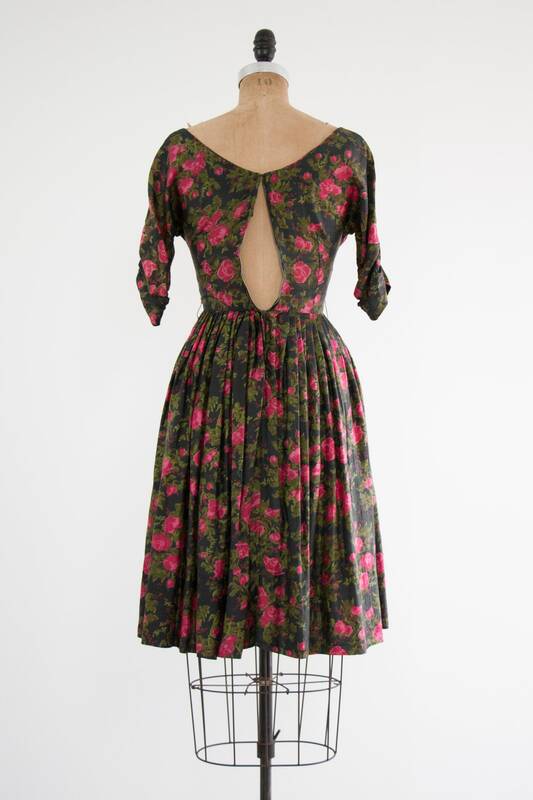 Metal zipper at the back (zipper is fully functional - dress did not fit the mannequin). 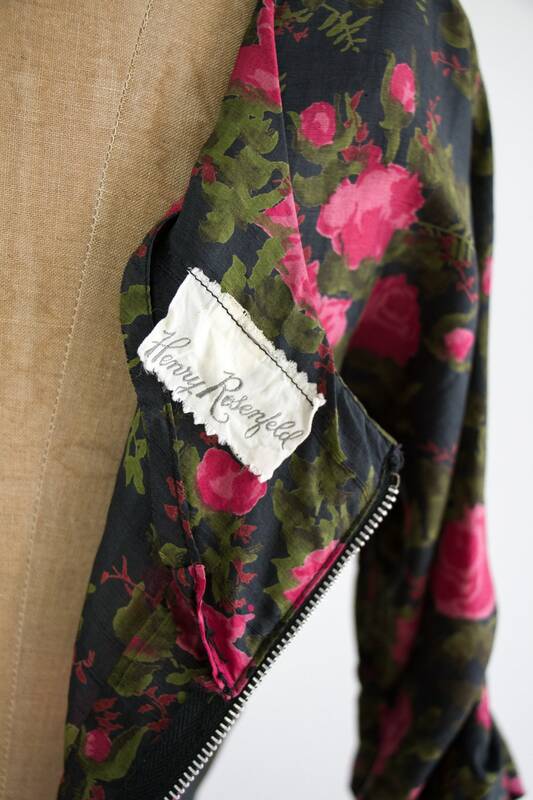 Lightweight and extremely soft.